OMSI AFter Dark, a night at the museum for the 21-and-over crowd filled with food, drink, and science fun presents Gaming on Wednesday, 24 February 2016. Featured demonstrations and activities include Musical Tesla Coils, Atoms & Bits panelist discussions, Colorblind Challenge, and more. Hours are 6 PM to 10 PM. 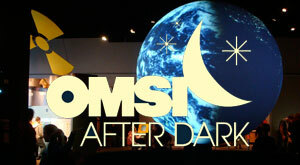 Admission is $15 for non-members, $7.50 for OMSI members, and free for OMSI After Dark members. OMSI recommends buying tickets in advance for this one since it may sell out.